Nourish Your Soul, Improve Your Self Esteem and Give You a Sense of Being Loved, Protected & Feeling Ecstatic! 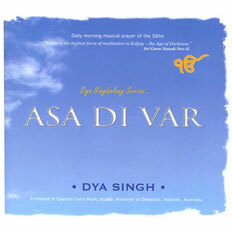 Aarti in Kirtan Style CD by Pal Ji (worth $29.95) for FREE! 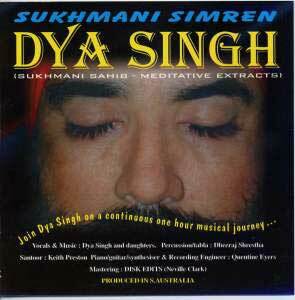 containing Japji Sahib, Jaap Sahib, Tav Parsaad Swaiyaas, Chaupai Sahib andÂ Anand Sahib all in Kirtan Style too. 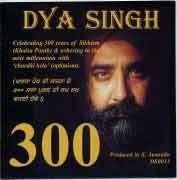 Japji Sahib is a universal song of God composed by Sri Guru Nanak Dev, the founder of the Sikh faith. 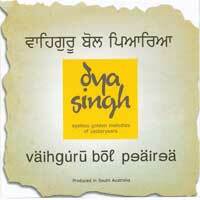 Tav Parshad Swaiyaee is a hymn by Sri Guru Gobind Singh Ji. Tav-Prasad Savaiye is a short hymn of 10 stanzas. It is a part of Sri Guru Gobind Singh ji's classic composition 'Akal Ustat' which means 'The praise of God'. In the last line of the 9th stanza, Gobind Singh has declared that 'only those who love sincerely and honestly, realise God'. This Bani appears in the Dasam Granth on pages 13 to 15. 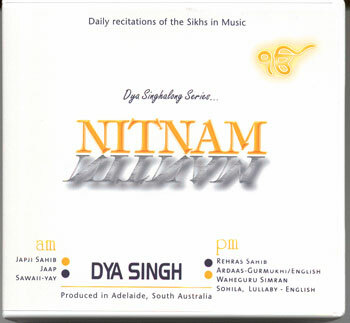 Anand Sahib: This Bani is part of the Nitnem or prayer which are read by Amritdhari Sikhs in the morning. The Bani was written by Sri Guru Amar Das, the third Sri Guru of the Sikhs and form part of the 5 Banis that are recited daily by baptised Sikhs. The Bani appears on pages 917 to 922 of Sri Guru Granth Sahib, the Sikh Holy Scriptures. The word Anand means Complete Happiness and it is said that the person who recites this Holy Bani daily with dedication, attention and comprehension, will achieve complete happiness in life. Anand Sahib is also chanted at all religious ceremonies of the Sikhs irrespective of the nature of event, be it a marriage or death. In the beautiful composition and with the Grace of Sri Sri Guru Amar Das, the mind and soul of a true Sikh remains steadfast and goal oriented in all circumstances of life. In an awakened mind with Sri Guru Consciousness and intoxicated with the Nectar of Naam, one is always tuned with the Sweet Will of the Lord in all ups and downs of life, in pain and pleasure alike. His is a mind which is ever luminous with Sri Guru Consciousness and is in perpetual intoxication of Naam and Amrit Bani, accepting without question the Hukam of the Almighty. All Dukh (Pain) and Sukh, (Pleasure) appearing the same to the devoted Sikh of the Guru. Bliss, Anand, Love of the Beloved SatSri Guru is a strange and mysterious phenomenon. It is this Supreme Blissful Anand which flows from the mouth of Sri Sri Guru Amar Das. The Sri Guru Love with His Beloved SatSri Guru that has inspired the Anand Sahib, which bursts out like showers of soothing rain in the overpowering heat of the mid-summer sun. This is indeed an Eternal Blessing in the shape of Holy Anand Sahib, for the whole of mankind for all times to come. 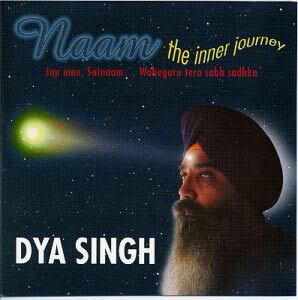 This Bani is completely enveloping, engulfing, overwhelming, and gripping in its nature and effect. 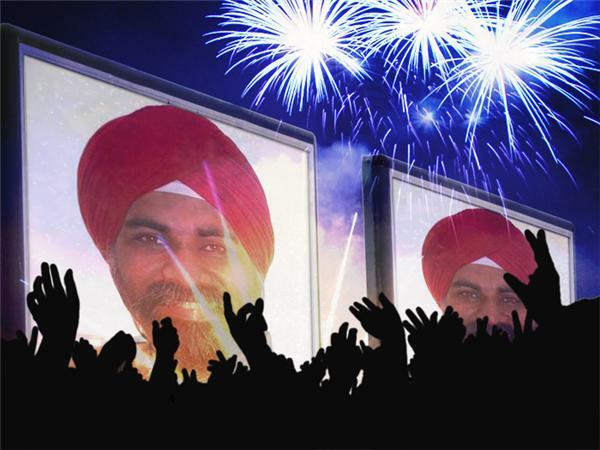 Pure Sri Guru Consciousness totally takes over. It completely encircles and grips all the faculties and senses of a true lover and opens the flood gates of Pure Love (Param) for Him and His Creation. One remains totally immersed in this Ocean of Bliss. Having tasted the Nectar of Divine Bliss in meeting the Beloved SatSri Guru and having tasted the Naam Ras by Satguruâ€™s Grace, no worldly happiness, pleasure is comparable to a fraction of this Bliss and no worldly sorrows and affliction can unbalance and shake this bliss because once submerged in this bliss, one completely transcended all pleasant and unpleasant dimensions of living experience. Sri Sri Guru Amar Das most wonderfully expresses the Supreme Bliss experienced, enjoyed, and attained in begetting, finding, meeting the Holy True Guru. In this hour of Supreme Bliss, all celestial musicians, nymphs, fairies have rushed forth in joining and singing the Glory of the Lord and Satguru. All celestial singers and Raags have joined in this symphony of ecstasy and captured this state of continuous rapture. All seeming earthly joys of the world disappear and vanish at the time of death. The fleeting joys and pleasures of the world abruptly end up with the death of the body. But True Anand, Bliss blessed by the SatSri Guru survives even death. It is â€˜Sadeevi Sukhâ€™, Perpetual Joy, Infinite and Supreme Heavenly state, True Affection for Eternity; Never changing; Always there. Merged in this Anand one rises far above all dualities. This Anand is different from worldly pleasure or joy. It is also not dependent on worldly objects. This Anand pertains to the Bliss of the Atam (Soul, Primal energy). It does not diminish in adversity. It is perpetual in all ups and downs of life. This Anand transcends pleasure and pain, joy and sorrow. Merged in this Anand, one is actually merged in the Lord, and he feels, beholds, and experiences only the Eternal Presence of the Lord every moment of his earthly life.